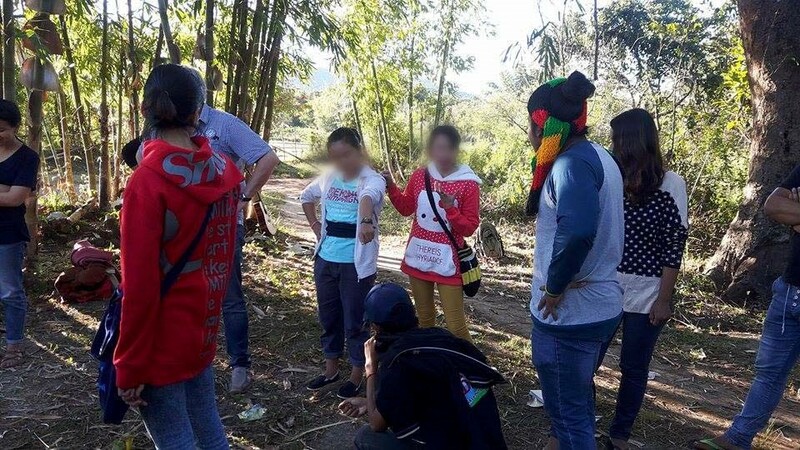 “I want to live in a safe environment now and in the future, and I want my voice to be heard”, a young Lao youth representative from Mekong Youth Assembly said as she expressed how she wants to see her country in the Mekong region healthy. Mekong Youth Team organized Ecological Child Rights (ECR) workshop with Mong Pun Youth Association, Taunggyi, Shan State. November, 2016 (Photo by Dokkeo). 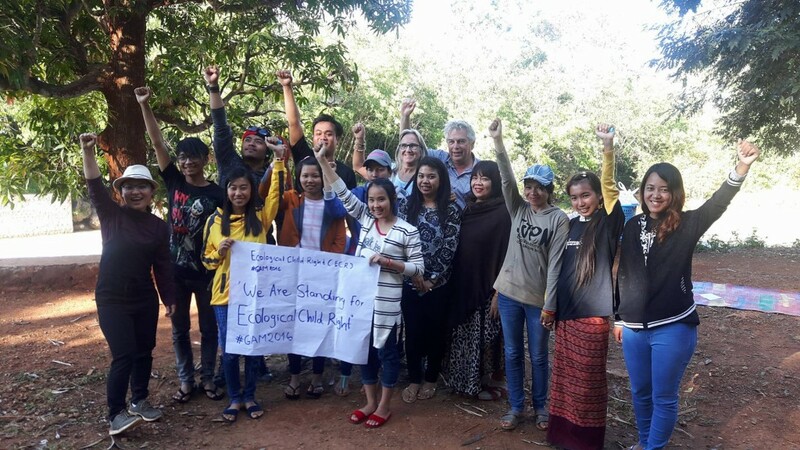 During 27-28 November 2016, Mekong Youth Assembly traveled from Thailand to meet partner youth groups to do a workshop called “Ecological Child Rights (ECR)” in Taunggyi, Shan State. A dynamic and active youth group, Mong Pun Youth Association who are very impressed by “No Dam” Campaign on Salween river joined us. During two days-intensive workshop about ECR, youths shared their ideas about their communities and the problem they are facing now by dam development projects. “What is Ecological Child Rights?”, one participant asked with curiosity. A Mekong Youth Assembly coordinator answered that Ecological Child Rights (ECR) are concerned with the relation of living organisms to one another and to their physical and spiritual surroundings relevant to child rights in the 1990 Convention on the Rights of the Child (CRC) which include four basic rights: right to survival, right to development, right to protection and right to participation. 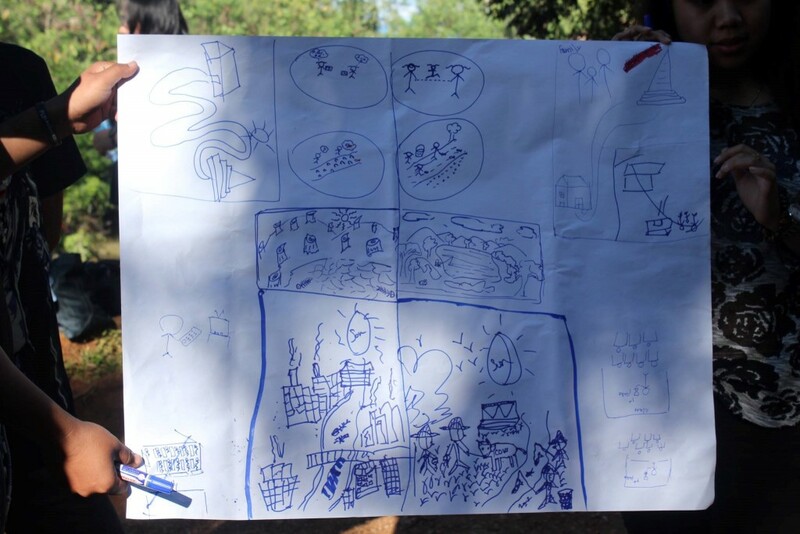 Mueda, Mekong Youth Assembly coordinator run the activity called “our childhood and community”, Taunggyi, Shan State. November,2016 (Photo by Dokkeo). Youth participants shared memories of their childhoods through drawing. The picture, on the right illustrates moments they were happy the most, and on the left illustrates the environmental issues they are facing now. Taunggyi, Shan State, Myanmar. November, 2016 (Photo by Dokkeo). She shared her experiences of being a stateless person during her childhood, as a result of conflict and civil wars in Myanmar her parents had to flee to Thailand. “When I was a child, I was robbed of all my rights and my opportunity for education, traveling and so on. I do not want this to happen again to my people and to other innocent people”. She mentioned how her rights were violated when she was a child. “Now I found out that a lot of civil wars and the conflicts happened because of development projects, so I will put my passion and all my knowledge about law to protect the rights of children that might be violated by development projects because I do want to see more stateless people as I know how much suffering it causes” she added. Mueda emphasized that many times we talk about the impacts of development projects on people, but we rarely mention specifically the negative impacts of development projects on children. During one of the activities, youth participants were asked to close their eyes and they were asked to think about what were the things in their environment around them that made then happy when they were children? Then all participants shared their childhoods through drawing pictures of the moments they were happy the most when they were children. “Once I counted 1, 2, 3 and everyone jumped into the river together. That was the moment I was happy the most when I was a child. I was happy because we have a clean river to swim in and I enjoyed playing in the water with friends”, one Shan youth girl said about her happiest childhood memory with a smile. Then she added that “since the river in my community is dirty now because of the chemical pollution from the factory, I have never seen children playing in the water in that river anymore”. Kothai, youth representative from Mekong Youth Assembly led the activity called “Stakeholder Analysis”. In the picture, one youth acted as company and pointed and yelled out to one young man. Taunggyi, Shan State, Myanmar. December, 2016 (Photo by Mueda). Later on, Kothai, a Mekong School Alumni who is also a youth representative from Mekong Youth Assembly ran a creative theater activity called “stakeholder analysis”. 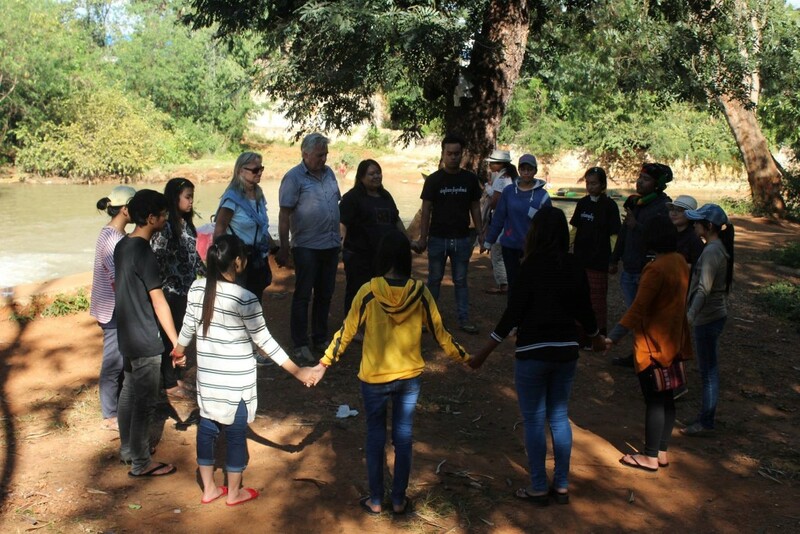 Kothai divided participants into two groups, “protagonists” and “antagonists” of Ecological Child Rights. Kothkai instructed the participants to act their parts while he took the role of ‘joker’. He told them that when the joker counts to three, they should freeze still.“I feel sad because the dam has released water downstream and flooded my village, and I don’t know what to do as my home is flooded, and we don’t have anything left” said one young girl who took the role of the child who lived with her parents in the flooded village. “I am hopeless as my home has been flooded because of the dam upstream, we don’t know where to go. I want my home back!”, another participant followed. Suddenly, a participant playing the part of the ‘antagonist’ called out “I am a company who will build the dam in this village, I do not care about anything but money!!!”. From this activity, youth participants could identify the problems and the people who are part of creating the problem. They then turned to think about actions they could take to help to protect their rights and their community. 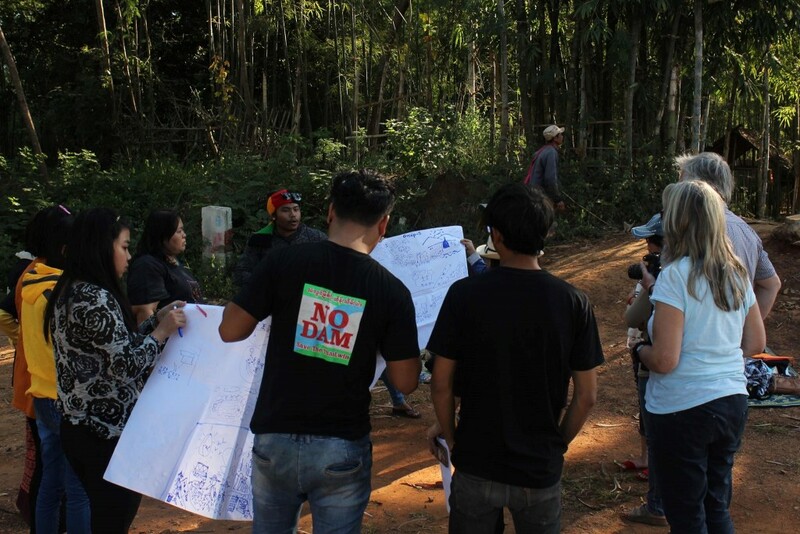 After the activities ended, every participant discussed what they could do about Ecological Child Rights in their community. Together with one voice, they will raise awareness about the negative impacts from destructive development projects like hydropower dams, mining and mega projects that cause negative impacts to communities, the environment and children in their communities. After the workshop all youth participants felt a strong commitment to protect Ecological Child Rights (ECR), Taunggyi, Shan State, Myanmar. November,2016 #GAM2016 (Photo by Dokkeo).